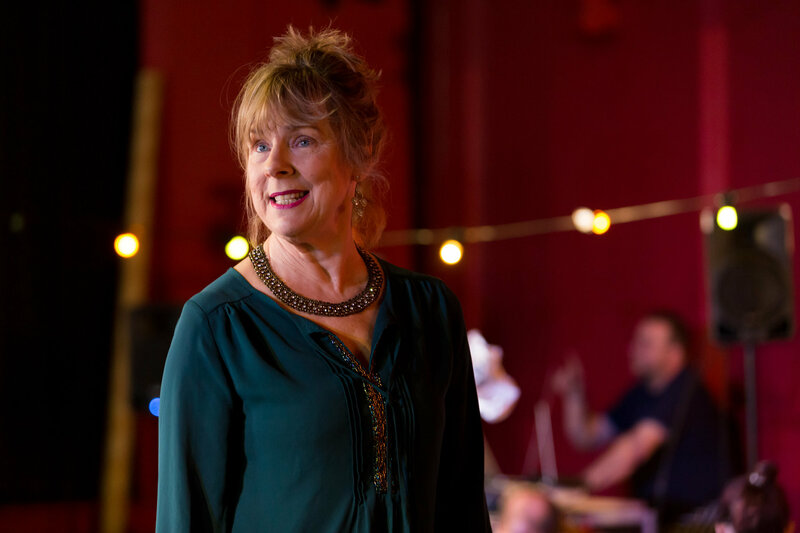 I play the part of Christine- a recently widowed lady who visits Booth and Sons’ chip shop in the hope of rekindling her love affair with Eric – her first love when she was 17. The mixture of fun, comedy, pathos and the excitement of the interactive element with the audience. It’s a different mix at every venue, but the story remains the same – plus the fish and chips are always great! Walking home from the chip shop as a child with the order I’d been sent to get, and poking my finger through the newspaper to pull out red hot chips. Apart from a boy in my class at Infant School- it was a boy who played in one of the local pop groups In my town. His name was all over my satchel and pencil case – but I don’t think he even knew I existed. Morecambe – because it features so prominently in the play, and also because it’s somewhere I visited regularly in my youth (and still do!) It’s close to my home town so I’m also looking forward to seeing friends and family in the audience. But I am very excited about visiting venues in other parts of the country and meeting new friends. Fish, chips, mushy peas, curry sauce, a pickled onion and scraps.